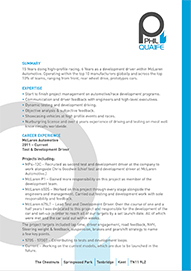 Phil Quaife has extensive experience in the development of road and race cars. 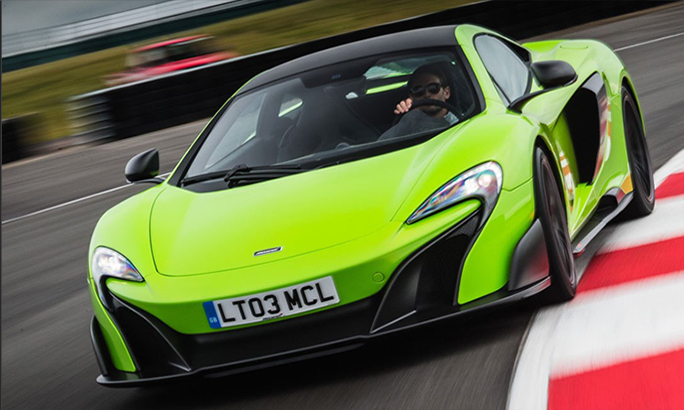 Having worked for McLaren Automotive for 6 years Phil was a key part of the 675LT programme and assumed the role of lead test and development driver. Phil’s expertise was also used in the latter stages of the 12C sign off and the complete McLaren P1 Hypercar programme. He also had significant involvement in all of the other projects. When McLaren launched their very first GT3 car the MP4-12C GT3 in 2011 they called on the expertise of Phil to assist with this exciting and challenging programme. Phil raced the car at Spa 24hrs and continued to work closely with the engineering team right through to recent years. As a driver with a keen eye for detail and attention Phil makes the perfect test or development driver for any race or road car package. The development programme for a vehicle is extremely intense and target driven and Phil has experience understanding how to define a target and how that target should be met. Coming from a family with a strong pedigree in advanced engineering Phil has the knowledge to work with industry leaders and professionals to further optimise all aspects of a vehicle from the chassis, control systems right through to the interior and powertrain. He has also spent many hours carrying out testing and development in F1 simulators. Please view Phil’s ‘Work CV’ pack to understand in more detail what he has done. If you’re interested in using Phil for test & development, please go via the contact page to make an enquiry.